A Splendid Wake is a volunteer-run organization committed to preserving and celebrating the history of poetry in the DC Metro area. Our wiki contains information about poets, publishers, groups and reading series from the past 120+ years. 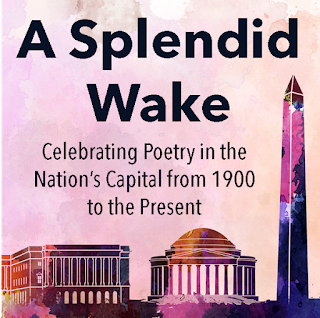 Our blog, A Splendid Wake Up, features literary-historical essays about the above topics. Additionally, ASW holds a yearly event where we celebrate our history with speakers who present (and perform) some aspect of this rich literary history. And, of course, we are active on Facebook and Twitter. In order to carry out these many tasks, ASW would like to sponsor an intern from a graduate program to assist us. The intern must be from an area graduate school and enrolled in an MFA of Creative Writing, MA in Literature, or MA in Communications Technology. 1. Research and write entries for the wiki. 2. Edit the wiki with revisions from poets. 3. Coordinate with the blog editor to upload blog posts to the wiki. Given the three kinds of MA programs, we don’t expect an intern to fulfill all of the tasks above: we will balance out the work according to the student’s discipline. Moreover, we would be happy to supervise students who are interested in one-hour internships, perhaps by writing a few articles for our wiki/blog, designing features for the blog, or developing publicity for the program, for example. In both cases, we are open to to developing a workable, rigorous experience. The intern would be supervised by the coordinator, but would consult with committee members as needed. The coordinator would consult with the student’s professor of record at the end of the semester regarding the amount of and quality of work. In return for their work, the intern will learn about the local poetry community as well as the practical skills of working in a literary organization, work that can be added to their resume. ASW will also run a featured interview with the intern on our blog. We would like to begin working with interns during the Spring 2018 semester.